Good evening, dears! Itâ€™s me, your old friend Maude. I hope youâ€™ll forgive my being gone for so terribly long, though itâ€™s not really my fault, you see. Iâ€™ve actually been here all the time, just brimming with stories to tell you, but I never got the chance! Not with those upstart Shanleys at the top of the hill, populating half the town with their ever-expanding brood, bringing poor souls back from the dead, and who knows what else. I have to say, itâ€™s all been a bit unsettling. Let me take this opportunity to assure you that I would never desire being brought back to life. Iâ€™m quite happy in my ghostly existence, drifting about the town, scaring off the ruffians that try to vandalize Berthiaume Manor, observing all the residents of Mt. Geneva (and there are a good many of them now)â€¦now thatâ€™s â€œlifeâ€ to me. Being truly alive again would be rather inconvenient, I should think â€“ I wouldnâ€™t be able to spy on anyone at all! So Iâ€™ll continue being a phantom, thank you very much, and if some misguided fool should try to bring me back, wellâ€¦heâ€™ll wish he hadnâ€™t! Ahem. Excuse me, dears â€“ I get rather snippety (and long-winded) when I think about such things. On to much pleasanter topics, likeâ€¦the Kilmans! Some of you might remember Tiffy and her brother Joey, who married that dreadful Bailey Singleton. Well, sheâ€™s Bailey Kilman now, and much has happened since that fateful union! Iâ€™ve been eager to tell you all about it, and now I finally have the chance. Letâ€™s catch up with them, shall we? After the wedding reception (during which Tiffy dropped a hint to Bailey that Joey wasnâ€™t really a car salesman, and Bailey took it completely the wrong way), the two ladies treated each other quite frostily. Tiffy had never really warmed up to Bailey in the first place, and I canâ€™t say I blame her â€“ Bailey was a selfish, spoiled woman who cared little for the feelings of others. Well, Tiffy wasnâ€™t in a rush to get married or have children, but the fact that Bailey would say something to her in such a rude tone â€“ and with such childish hand gestures! — bothered her greatly. Besides, she had just found out that day that Geneva College no longer needed her â€“ apparently not enough students had registered for its inaugural semester, and so they had to cut back on faculty. So Tiffy wasnâ€™t in the best of moods to begin with, and Baileyâ€™s little dig was only making her feel worse. I could tell from the way she clenched her fists that she was a hairâ€™s breadth from knocking Bailey upside the head! But her calm maturity prevailed. Tiffy coolly dismissed Baileyâ€™s little mockeries and decided to take a nice, long walk instead. Joey met her on the return trip home and tried to apologize on Baileyâ€™s behalf. Tiffy laughed. â€œOf course Iâ€™m happy! Congratulations.â€ She threw her arms around Joey and gave him a sisterly squeeze. â€œI hope you donâ€™t mind if we keep living in the trailer with you for awhile,â€ he said a little hesitantly. A little on the expensive side? Bailey was always demanding this new trinket or that new gadget, and the pricier, the better! I rolled my eyes, but of course no one could see me. Joey thanked his sister and ran off to tell Bailey, who wasted no time in suggesting a few houses â€“ er, mansions â€“ that might serve well for their new abode. Beautiful house as usual and I’m glad Maude’s back! I commented a few entries ago that I was close to getting bugs sorted out and starting a blog but there will be no such luck and now I have a bug with the screenshots on top of everything else so nevermind my blog idea. So, is the next post going to be about the Kilmans or something else? I’m sure it’s good, whatever it is! Ooooooooooo! YAY! I love the Kilmans! :D And Maude rocks my socks, she does! I vaguely remember this family. :3 But I do think you’ve gotten better at story telling. His wife seems edgy, eh? Wow, it’s so great to read about the Kilmans again. I remember their stories perfectly from way back when. The new house looks amazing, of course, and Bailey is still her stuck-up, good-for-nothing self. ;-) I’m glad you decided to continue these stories, Jen! Are you still planning on the college thing for Rory and Ferris? I must say, it’d be much easier now with University. ;-) I can’t wait to read about the other families in this saga!! I remember the Kilmans. I love Tiffy! I’m glad her brother is finally getting out of the crime business but I wonder if he’ll stay out with that nagging wife of his. I’m excited to see what happens to them. I’ve always loved Maude, she is so funny sometimes. Great writting Jen! I hope you are having fun. :) Oh yeah, and just like everyone else said…the new house does look so great! I’d love to live there. haha. Hey that title reminds me of Will and Grace last night xDD Um great update very very Kilman-ish. I was thinking he had killed off Bailey. I never did like her…or fortune sims. Nita – I hope you can get your bug and blog issues worked out. 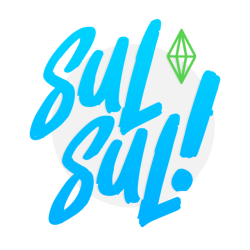 I’d love to see your Sims. As for the next update, it’ll probably be Kilmans since I already have the pics ready, but I might do something else instead — who knows! Jessica – Unfortunately I can’t send Rory and Ferris to college — they became Adults before University was released. But that’s OK — I’m actually looking forward to bringing some new families into the fold! Eva M. – More pictures? LOL. I had about 30 pictures for this update, but it took me two days just to write the story for the measly 7 you saw in this update! (I had more explaining to do than I thought.) Yeah, Maude and I get too wordy sometimes. Next time, more pics, I promise! And your blog looks cool! I’ve added the link! I remember those times well, at the time i walked between your site and the site of Kara (Confessions of a simmer) unfortunately she not write in her site anymore. I like the MaudeÂ´s Tales very much itÂ´s so cool back to the old times again. Yay, Maude! :D I love Maude and her stories. And wonderful update. :D Can’t wait for more. I remember Confessions of a Simmer and Susana is right. This reminded me of her blog because Maude’s Tales were around the time of Kara’s blog. Confessions of a Simmer was the first blog I found and I miss it but I get to read great stories here. I do hope you’ll continue with Maude’s commentary. That’s all again. Wow this is so refreashing and will Bailey is a B&^%$! Well i cant say that i remember Maudes tales.. ( Poor me). But i still like them alot. They seem quite interesting. IF only i had found your blog sooner :). And i also miss Confessions of a Simmer..She was the reason i found your blog. Can you believe that i dont miss the Braytons as much as i thought i would? Guess it is because you are wonderful at telling stories. I was wondering if you can make us a little tour for Mt. geneva, just a few pics for “kill” my curiosity, please?…Sorry i donÂ´t mean to be abusive or boring you with that, but it will be nice to know the neighbourhood….But of course itÂ´s your decision to do that. Maybe Maude’s Tale should be told. What I mean by that is that she should elaborate on how she died and how her life was. Of course we all know already that there are too many dead Shaneys enjoying the tiki bar above for Maude to have to put up with so that would explain in more detail why Maude spends her time spying on Mount Geneva. I’m on a roll with these stupid ideas! I managed to save my Sims, by the way! :D Found a save just before Kit was born, though I’ve still moved the whole family into a whole new neighbourhood just to make sure they’re safe from bugs. It’s a good thing Joey quit the “Car Dealership”. He seems like a fortune Sim, and the $175 difference between the top of the Criminal career track and the Business career track really adds up. Maude’s dislike of the Shanleys is kind of funny. Then again, they were edging her out, man! Out of the COMPETITION! Ha! I will now do the rest of my comment in speed racer-style things! It will be someone resembling speed racer especially if you are to read it aloud in his voice! Ha! Ha! The house in which they are living is a nice looking house! It looks like it is a nice house to live in! Ha! Hey! Hey! They have a swing-bench on their house! It is a nice swing bench! The neener of Bailey is a neener that should never be neenered because it is not a nice thing to do to someone! Especially a someone who is your sister or sister in law! Law is helpful to make you feel justice sometimes! Ha ha! Maude is funny! She has a summer evening that is more sultry than a sultry singer who is sultry! Yay! Maude is back! I read her stories a looong time ago, before I even knew how to comment on a blog, and have read them through a few times. So glad that they are back. BTW, I created my first Royal Kingdom Challenge family last night and built most of their house, using a real Victorian house plan. The finished result is a bit wonky-looking (we really need a variety of roof pitches!) but it was fun. PRMami – Thanks, and you’re right about Bailey! Eva – Thanks so much, I’m glad you’re enjoying my stories. susana – I guess I already answered your question about a tour, but hello anyway! Blu – LOL! Can you believe I’ve never watched Speed Racer? I know, I’m horribly deprived! Eva M – Actually, I haven’t given up the Shanleys completely — I just won’t tell stories about them as frequently, I don’t think. I really do want to reach 20th gen with them at some point! Well, I do miss the Braytons, but not nearly as much as I would have had you just stopped posting. And, I do love returning to Maude’s tales. I missed those while I was interested in the Braytons and Shanleys. So, even steven. Thank you so much Jen!! :) YouÂ´r great. Hey Jen and everyone! I am happily annoucing the opening of my very new blog! I am just starting out, experiencing beginners difficulty, but I am liking it! Please come visit and hopefully comment. Eventually I’ll get around to linking people’s sites, so no offense if it is not up there for about a week…hehe, I’m slow, I know. Vivi! I followed your link and left a comment but I’m not sure if you got it. I know I’m not the one you intended to follow the link but I have to say that your blog is looking awesome. Thanks Nita! Of course I intended you to follow the link…everyone here is awesome and should do the same! I got your comment, but I had to moderate it. That is fixed now, and all the little bugs are slowly…well, debugging. I hope more people follow your shining example! Oh, and just a heads up, the pictures on my blog are fuzzy and taken long ago before my poor non-gaming computer got quite a bit upgraded. As the blog continues, the pictures get better. Awesome blog so far, Vivi! I left you a comment! Hehe, just wanted to let everyone know that the Lawler’s are updated. Thanks Jen! I really can’t wait till your next update.